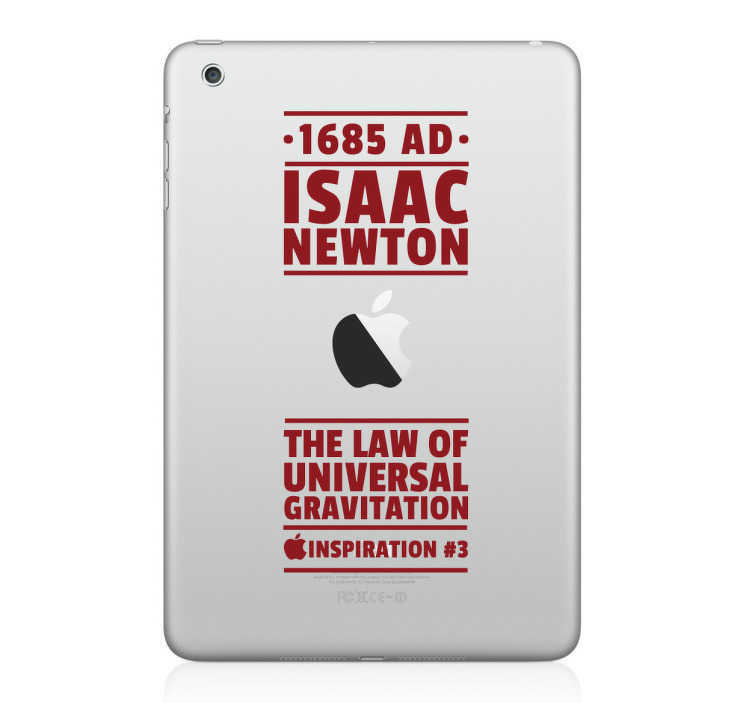 iPad Stickers - The law of universal gravitation by Sir Isaac Newton, an historic English physicist and mathematician. Great for customising your tablet device. Tenstickers´inspirational sticker range - to motivate and encourage. *Sticker sizes may vary slightly depending on the size of the device.